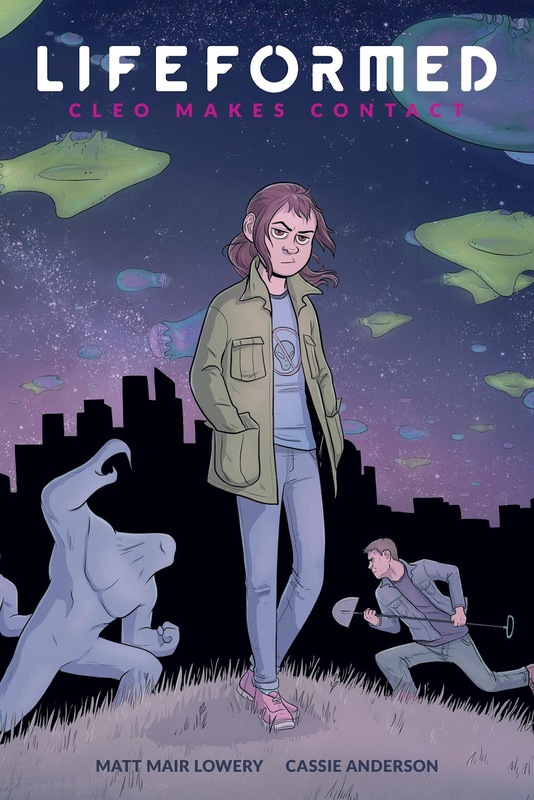 Dark Horse welcomes the first OGN from up-and-coming Portland creators Matt Mair Lowery and Cassie Anderson (creator of the web comic An Ordinary Princess). Their unique sci-fi adventure Lifeformed: Cleo Makes Contact is slated for release on September 6, 2017. This full-color trade paperback for young adults stars Cleo, a relatable, endearing young heroine. In the wake of an alien invasion—and her father’s death—a young girl must leave behind the life she knows to fight for the future of Earth. Aided by a shape-shifting rebel alien posing as her father, Cleo packs extra snacks for the road as they travel in search of both family and foe. Lifeformed: Cleo Makes Contact follows the unlikely pair as they bond, fight back, and ponder what it means to be human. The power of choice, courage, and unity are examined. Lifeformed: Cleo Makes Contact is now available for preorder on Amazon.